The hardest part about saving money is getting started. Saving money isn’t always intuitive. It actually tends to be easier to spend on instant gratification purchases. Even for those who are diligent in transferring a little money into their savings account each month, the temptation to dip into that growing fund is always present. It’s especially easy to fall off the savings bandwagon after a treat-yourself splurge or an emergency situation. Suddenly several months’ of hard work disappears and you’re back to building from $0. Looking toward the future—including both the rising costs of healthcare and the uncertainty of retirement—it’s critical to have a reliable savings plan to achieve financial wellness. Americans need to be having conversations about the foundations of a healthy long-term financial plan, and within that, how to turn a national spending habit into a saving habit. If saving money were easy, then 65 percent of Americans wouldn’t be saving less than 15 percent of their salary, the amount suggested by experts. Further, nearly eight out of 10 Americans live paycheck to paycheck, including 10 percent of those who make at least a six-figure annual salary. According to a recent study, American households have a median of $4,830 in savings—significantly lower than the average of $32,130 in savings. While the median figure of $4,830 may reasonably cover three months’ worth of expenses—the recommended amount for an emergency fund—it doesn’t leave much room for costs like long-term health care or emergencies. Nearly 30 percent of households have less than $1,000 in savings accounts. However, savings vary by age, with millennials saving less than baby boomers, since older Americans have had longer to save and comparatively larger salaries to draw from. Are your personal finances not up to par with the national average? The good news is that it’s never too late to take a realistic assessment of your finances and get back on track. We talked to four financial experts to learn the best ways to turn saving money into a lifelong habit. Here are tips for beginning savers, and even pros, because sometimes it’s nice to be reminded of the basics. “Saving money and gaining control of your finances is a mind game before anything else. You can tell people how to save more money but they won’t actually do it without changing their mindset first,” says Amanda Abella, author and millennial finance blogger. Sometimes we don’t even realize that we’ve learned and are regurgitating someone else’s views on money. These stories aren’t our own and can in fact be detrimental to the way we aspire to handle our finances. Abella notes a few examples of common adages that affect our relationship to money. There’s no money in this economy. People who make a lot of money are greedy. Abella suggests answering the following questions during this exercise. What have you been telling yourself about your financial situation? Where did these stories come from and how have they affected your finances? What are some of your hidden fears about money? How has your money story evolved over time? After you’ve gotten everything on paper, read it over without judgement to identify your irrational thoughts. It’s important to be kind to yourself during the entire process: “just laugh at it and move on,” says Abella. Hopefully, you’ll be able to identify the “stories you may have picked up about money—whether from your parents, your partners, your broke friends, or society as a whole.” Realize that other people’s stories don’t need to be your story. In fact, “you can rewrite your money story any time you want,” encourages Abella. It’s never too late. The best time to start saving is right now, but to know exactly how to do it depends entirely on your timeline. To save for smaller purchases, she suggests having “money automatically transferred into a savings account at the bank, earmarked for your purpose.” And if you want to use the money in less than three years, “save your money where it’s going to still be there when you need it (in other words, there is little risk of loss), and you can access it easily,” she advises. If you don’t have a lot of extra money after bills and necessities, try to start with a small amount. Choose an amount that you won’t even notice missing from each paycheck, like $10. “Each day you’re not saving for the future is a day of potential financial increase lost,” Carlson says. Why is starting early such a big deal? Because of something called “compound interest,” and this is especially true when it comes to retirement. Let’s compare the retirement funds of two hypothetical people with similar savings strategies. At age 25, Olivia starts putting $200 each month into her employer’s retirement savings account with an average six percent rate of return. Ten years later, at age 35, Lucas starts saving $200 each month with all other variables identical to Olivia. Both continue to add $200 each month until they retire at 67 years of age—that’s a reasonable investment of $2,400 each year. At 67, Olivia has contributed $100,800, while Lucas has contributed $76,800. Olivia has contributed about 31 percent more money into her account than Lucas has into his. However, by the time that both are ready to retire, Olivia has $447,618.19 and Lucas has $231,223.60. Taking compound interest into account, Olivia has saved nearly twice as much as Lucas. Compounding interest makes an initial sum grow at a faster rate, because not only do you earn returns on the money invested, you earn returns on those returns over time. Thus, savings in retirement accounts snowball year after year. This snowball effect is the reason why Olivia has a much better retirement outcome than Lucas, simply because she started saving 10 years earlier. Thanks to compounding interest, time is the greatest factor of all. “Figure out what you are saving for,” says Pamela Rodriguez, a certified financial planner. What exactly is your goal for the money being saved? For some, this means expenses associated with travel, college, transportation, a wedding, children, a new home, or retirement. Rodriguez says to “attach an actual dollar amount to that goal,” stressing that “you must be as exact as possible.” Don’t estimate a ballpark figure, but rather crunch the numbers and figure out an amount down to the dollar. Not just something like ‘$30,000,’—make it exact, perhaps ‘31,800’ instead. The next step is put together a plan to meet your goal, and the best way to do it is to create a timeline, says Josh Hastings, founder of personal finance website MoneyLifeWax.com. To do this, he says, you should take your goal and “divide it by the amount of time you want to accomplish that goal.” For example, if you want to save $1,000 in four months for a weekend vacation, plan to save $250 each month, or $125 each paycheck if you’re paid semi-monthly. “Always save money in an account that is not connected to your checking to prevent easily tapping into savings,” says Hastings. The temptation to dip into your savings is higher when you can easily transfer between accounts. For added motivation, name this new account with your goal in mind, such as ‘New Car,’ ‘College Fund,’ or ‘First Home.’ Utilize every trick available to help keep you focused on the reward. Make sure that this extra savings account won’t charge you, but rather provides interest on the funds deposited. Many savings accounts are free so long as you maintain a minimum balance, otherwise they charge a monthly fee. Deposit enough money to make the account worthwhile, because it’s counterproductive to lose money when the goal is to save. For long-term savings goals, consider a Certificate of Deposit (CD). These are a great way to make money while you save. A CD account is a savings account with a fixed interest rate (typically between one and three percent) and a fixed date of withdrawal. Time periods could be as short as six months to as long as several years. The added benefit of this type of account is that you’re unable to touch the funds deposited before the withdrawal date without a penalty, so it’s a great deterrent from depleting your savings. It’s key to set up a savings account at a separate bank not linked to your primary account, since the hoops you would have to jump through to transfer into your checkings will help dissuade you from doing it. The true lesson here is that a savings account is meant for just that: savings! Hastings suggests that to make saving simple, it’s best to automate it. You can set up a direct deposit to withdraw from each paycheck and go into your savings account. Keep in mind that it’s often possible to set up more than one type of direct deposit at work. In addition to your standard checkings account deposit, you may be able to select a portion from each paycheck to deposit into a savings account. Explore your options either on your workplace’s online portal or by going into your HR office, suggests Rodriguez. “Don’t be discouraged if your job doesn’t offer this. Simply set up a ‘bill pay’ and PAY YOURSELF the same day that your direct deposit comes in,” she says. The amount that you choose to withdraw from each paycheck should be based on your goal and the timeline in which you have to complete it. Another tip according to Hastings is to “always save your annual pay raise.” For example, once your pay raise is added to your paycheck, pretend that it doesn’t exist and instead automate that added income directly to your savings account. Now it’s time to sit back and watch the balance in your savings account grow. And don’t touch this account until you complete your savings goal, reminds Rodriguez. 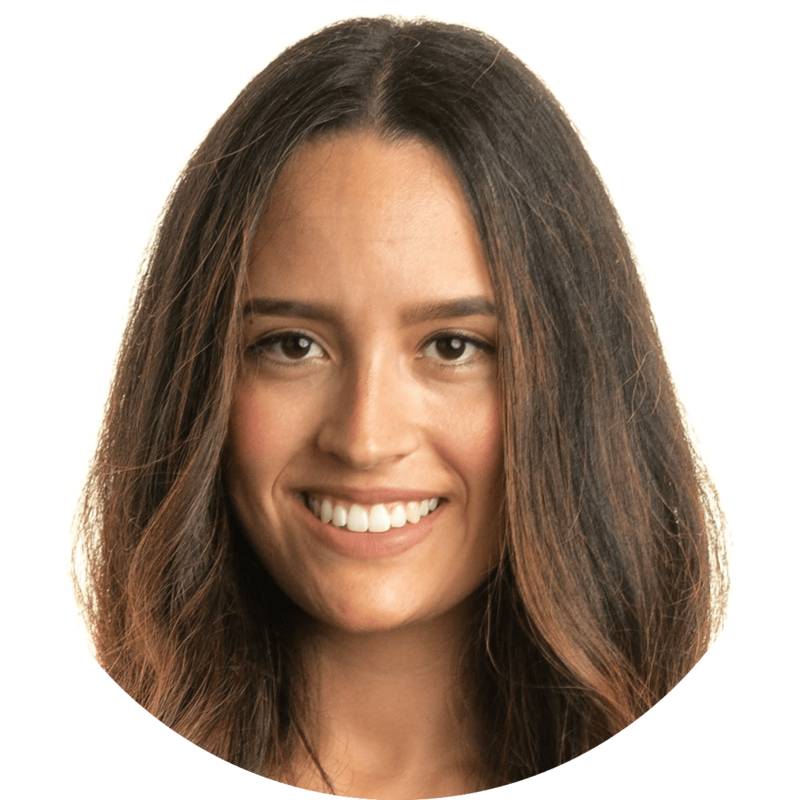 Amanda Abella is a Latina speaker, finance expert, business coach, and blogger who has created an online community, as featured in Forbes, the Huffington Post, and Inc., where millennials can learn how to make money online and actually enjoy their financial journeys. She combines positive psychology with her business and finance background to create trainings that help students and clients through the emotional and practical sides of money and entrepreneurship. Abella is also an Amazon best-selling author of Make Money Your Honey: A Spirited Entrepreneur’s Guide to Having a Love Affair with Work & Money, which was featured in Seventeen Magazine, along with an accompanying Make Money Your Honey podcast. Julia Carlson is the founder and CEO of Financial Freedom Wealth Management Group LLC. She started the business in 2000 after finding her passion working in the investment department at a bank. Julia loves inspiring action, coaching disciplined strategies and empowering others to pursue abundance in all aspects of their lives. Author of Fit Money, her Fit Money Program inspires others to get their financial life in shape. You can find her on Facebook at @juliacarlsonfitmoney. 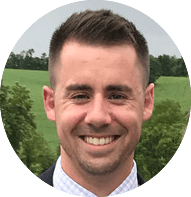 Josh Hastings is a former high school athletic director at the secondary level who shifted his focus in 2016 to focus more effort on his entrepreneur endeavors. In 2017 he founded MoneyLifeWax.com, a personal finance site dedicated to helping millennials with student loans. With an emphasis on money and finance behavior, Josh started Money Life Wax to help millennials realize there is other ways to make money and be happy in the 21st century. You can find him on Facebook at @moneylifewax. Pamela Rodriguez is a Latina Certified Financial Planner® who is passionate about helping people achieve financial “wholeness.” She teaches people everything they ACTUALLY need to know to win financially without all the unnecessary financial jargon at InversionistaSchool.com. 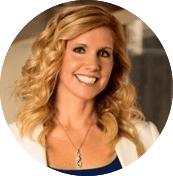 Pam was able to save $53k in 12 months by implementing the exact same strategies she teaches. 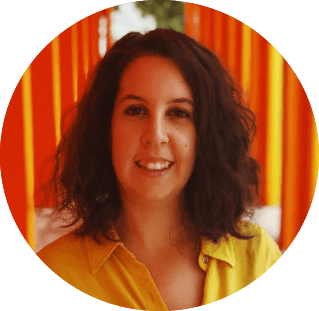 You can find her speaking, conducting financial seminars throughout the greater NYC area, or teaching her online money courses (in English and Spanish). You can find her on LinkedIn at @pamelarodriguez11.